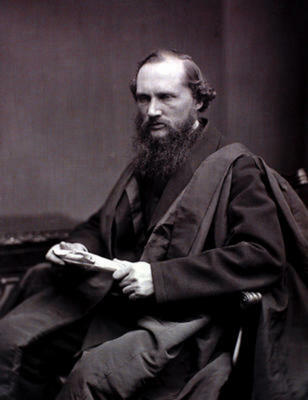 In 1840, at the age of 16, William Thomson established the mathematics of the physics of continuous media. He wrote papers on hydrodynamics, electricity, the heating and cooling of buildings as well as the second law of thermodynamics in 1849, followed a year later with papers on steam engines, geometry, electrolysis, the magnetic properties of crystals and regelation and produced a landmark paper on magnetism. This developed the subject from two contrasting starting points, magnetic poles and current loops, introducing the modern forms of magnetic field and induction. 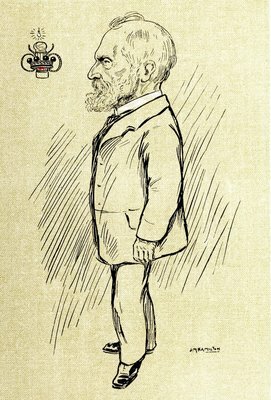 Between 1858 and 1866, he laid the transatlantic telegraph cable, an epic undertaking involving huge practical difficulties and a House of Lords enquiry, for which he was knighted. He invented the inkjet printer (the 'siphon recorder') as the receiving and recording mechanism needing least signal power - the only moving part is the ink. The telegraph cable shrank the world dramatically and started the globalisation of information. "When you can measure what you are speaking about and express it in numbers, you know something about it." He invented the compass for iron ships, overcoming the ship's permanent and induced magnetism. He worked over twenty years to refine the accuracy of units of electrical measurement, defining the modern ampere, Volt, ohm and others. Kelvin was the first to calculate the ages of the earth and of the sun, by considering all known energy sources and erosion rates. Knowing about neither radioactivity in the earth's core nor nuclear fusion that powers the sun, his results were huge underestimates, causing uproar amongst evolutionists. He developed the basis of absolute zero, and a unit of temperature measure is named after him. In total, he produced 661 scientific papers and 75 patents and was the first UK scientist to be elevated to the House of Lords. Flood, Raymond, Mark McCartney and Andrew Whitaker, eds. 2008. Kelvin: Life, labours and legacy. Oxford: Oxford University Press. Smith, C. and M. N. Wise. 1989. 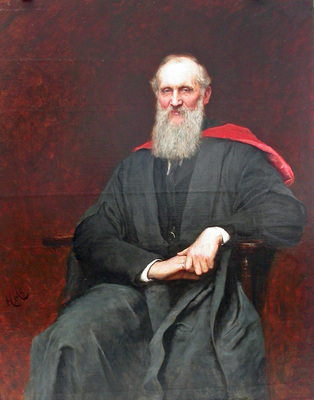 Energy and empire: A biographical study of Lord Kelvin. Cambridge: Cambridge University Press. Thompson, S. P. 1910. 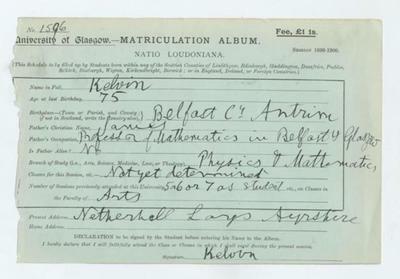 Life of William Thomson: Baron Kelvin of Largs. London: Macmillan. 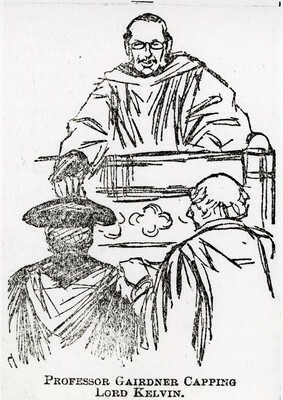 Thomson, W. and P. G. Tait. 1867. Treatise on natural philosophy. Oxford. 2nd edition, 1883. World Changing Project, "Making important contributions to physics especially in electricity, magnetism and thermodynamics," in University of Glasgow World Changing (University of Glasgow, 2010); http://www.worldchanging.glasgow.ac.uk/article/?id=69 (accessed April 26, 2019). World Changing Project. "Making important contributions to physics especially in electricity, magnetism and thermodynamics." In University of Glasgow World Changing. University of Glasgow, 2010. http://www.worldchanging.glasgow.ac.uk/article/?id=69 (accessed April 26, 2019). World Changing Project. "Making important contributions to physics especially in electricity, magnetism and thermodynamics." University of Glasgow World Changing. University of Glasgow, 2010. 26 April 2019 <http://www.worldchanging.glasgow.ac.uk/article/?id=69>.